The Bangor Historical Society would like to thank our members, members of the community, those who have an interest in local history, and everyone else who has supported our organization to help us achieve our goal to raise funds for the purchase of the old Ely Hardware building. We are dedicated to preserving our past. Second Thursday in Feb., Apr., Jun., Aug., Oct.
Actual location: 229 W. Monroe St.
Museum Office is closed during the winter months. Please leave a message on answering machine. Museum & Office open the first of May through October. Special Museum tours available by App. Ashley Deming from the Michigan Maritime Museum will speak about the museum's rich maritime history and current exhibits. Our events are held at the newly renovated Odd Fellows Hall located above our museum in the old Ely Hardware Building. 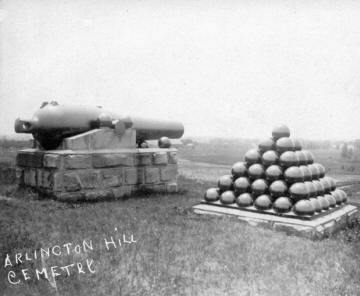 Join us to help restore the cannon balls and entrance pillars at Arlington Hill Cemetery. Leave a legacy for yourself and your loved ones etched in stone. Our August General Membership meeting was held Thursday, August, 9th in the New Odd Fellows Hall. The Bangor Historical Society and the Bangor Branch Library teamed together and sponsored Susan Miller from the Menno-Hof Amish-Mennonite Visitors Center in Shipshewana, Indiana. Susan spoke on the life and cultures of both the Amish and Mennonite communities. Questions were taken afterwards and provided for a very interesting program. It was our largest attendance ever with over 100 guests. A very enjoyable evening was had by all. Copyright © 2014 by Bangor Historical Society. All rights reserved.